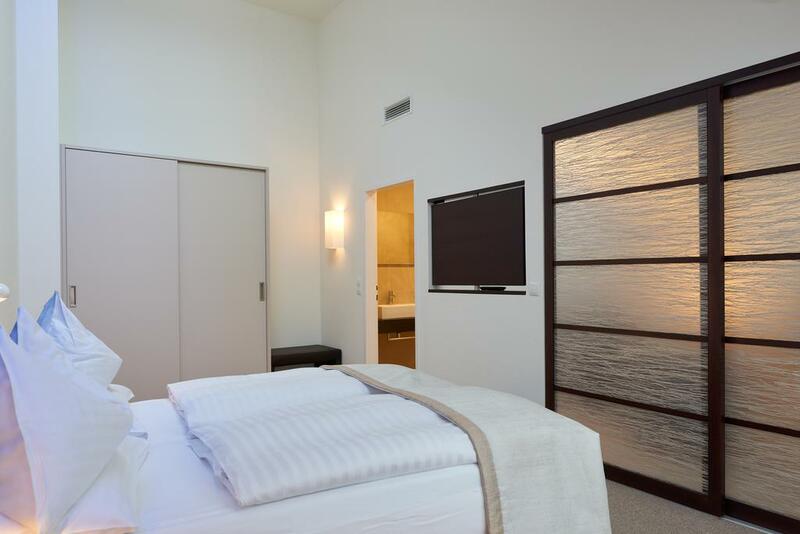 The hotel on Salzgries is located in the city centre of vienna and offers four star luxury and convenience. 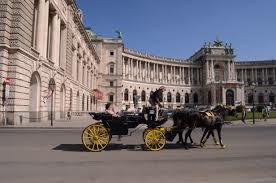 The historically rich Inner City of Vienna is within walking distance. Shop on the Graben or Take advantage of the Viennese public transport system with plenty of stops close to the hotel and get around town on business and pleasure. The hotel is non-kosher, its located near kosher restaurants and 5 minutes walk (400 meters) from the great synagogue at: Seitenstettengasse 4. 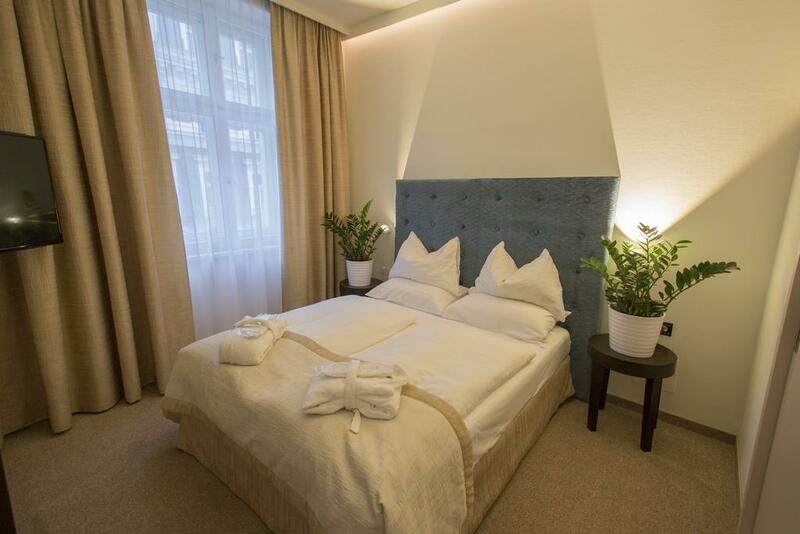 The hotel on Salzgries is located in the city centre of vienna and offers four star luxury and convenience. 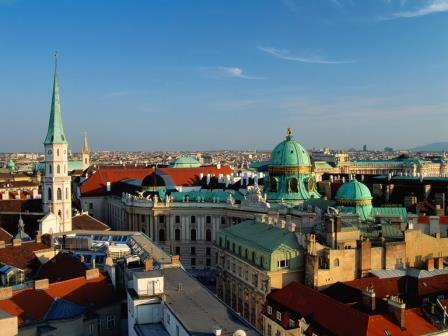 The historically rich Inner City of Vienna is within walking distance. Shop on the Graben or Take advantage of the Viennese public transport system with plenty of stops close to the hotel and get around town on business and pleasure. 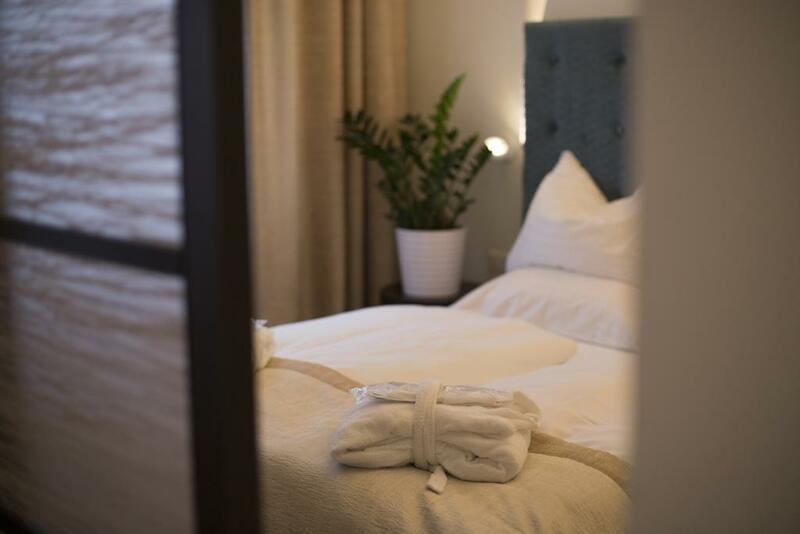 In addition to the well-appointed and spacious rooms, the hotel offers a variety of amenities, such as a gym and sauna, as well as a hotel bar and cafe. Furthermore, if you are travelling by car, The hotel offers parking and valet services for your convenience. The front desk is staffed around the clock and our attentive staff will be happy to help you. If you require assistance, you can rely on our concierge services. For example, we can reserve seats at the opera, send flowers, and generally make your stay as memorable as possible. The spacious suites and apartments offer separate living rooms and bedrooms. At 40 m² to 50 m² you will have ample space to work, relax, and be yourself. All bedrooms are equipped with a choice of either a king sized bed or twin beds. The living room offers various amenities including a spacious desk, WiFi internet and is furnished with a comfortable couch, a wet bar, a large mini bar fridge, and a microwave oven. Additionally, all suites come with two television sets, satellite TV, and free SKY-TV network. 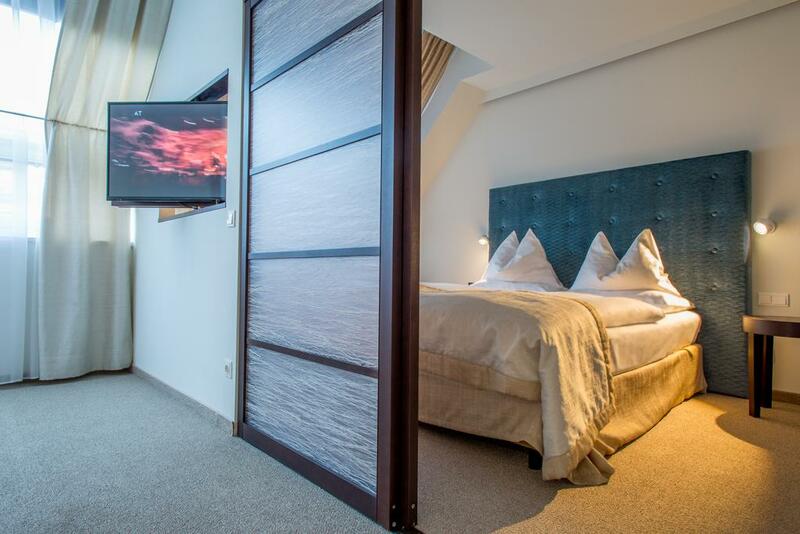 Each suite has its own set of climate and heating controls for your convenience and comfort. Furthermore, we offer distinct smoking and non-smoking suites and apartments. The roomy apartments offer ample space for your whole family including pets. Select the Fitness Package and have your own personal indoor bicycle trainer in your suite. Relax and train in the comfort of your suite. Add the Kitchen Package and the hotel will provide a mobile kitchen equipped with hot plates etc. inside your suite. On demand, The staff will be happy to provide you with an extra cot, iron and ironing board, and electric kettle. 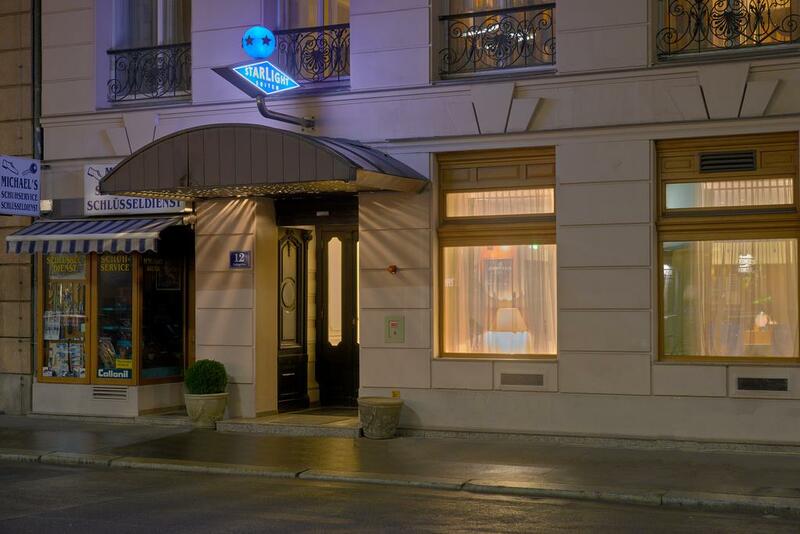 The Starlight Suites Hotel Vienna Salzgries can be reached conveniently by car, train, or bus. The hotel is located in the Inner City of Vienna. Experience the flair of Vienna s historical city Centre, which is within walking distance, while you shop, browse, and explore. Hoher Markt: The High Market was one of the central points in Medieval Vienna. Today it is the site of famous landmarks, such as the Vermählungsbrunnen, the Anker musical clock, and the Roman Museum. Anker: The Art Nouveau style musical clock is a popular tourist attraction. At every full hour a copper figurine, representing a historical personage, moves along the clock to musical accompaniment. At noon all 12 figurines form a procession. Urania: The Art Nouveau building houses Austria s oldest public observatory, a cinema, as well as a restaurant and a puppet theatre. The building was completely renovated between 2000 and 2003 and boasts up to date technology. The cinema is the main venue of the Viennale film festival. Uhrenmuseum (Clock Museum): The Clock Museum is housed within one of the oldest buildings of Vienna. Covering three levels and 19 rooms, the museum illustrates the technical development of clocks and watches from the 15th century onward. Graben: The Graben is one of the best-known streets within the Inner City of Vienna, whose history spans all the way back to antiquity. Today s visitors will find historical buildings, modern shops, and inviting cafes. Judenplatz: This town square is the historical centre of the Medieval Jewish quarter. Today, part of the Jewish Museum, parts of the foundations of one of Europe s largest medieval synagogues, and the Holocaust Memorial can be found at this address. Mozarthaus: Wolfgang Amadeus Mozart lived in a flat in this building between 1784 and 1787. It is the only home of Mozart that still exists today.